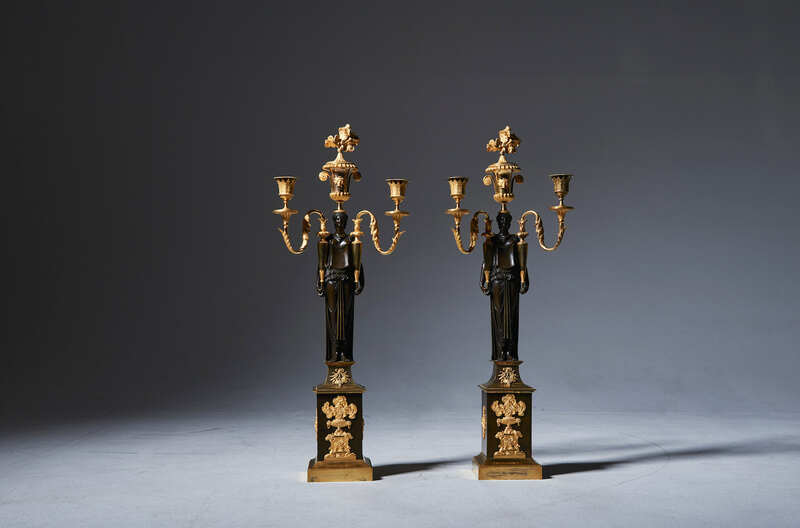 A pair of Russian gilt bronze candelabra in the manner of Friedrich Bergenfeldt, St Petersburg circa 1800. 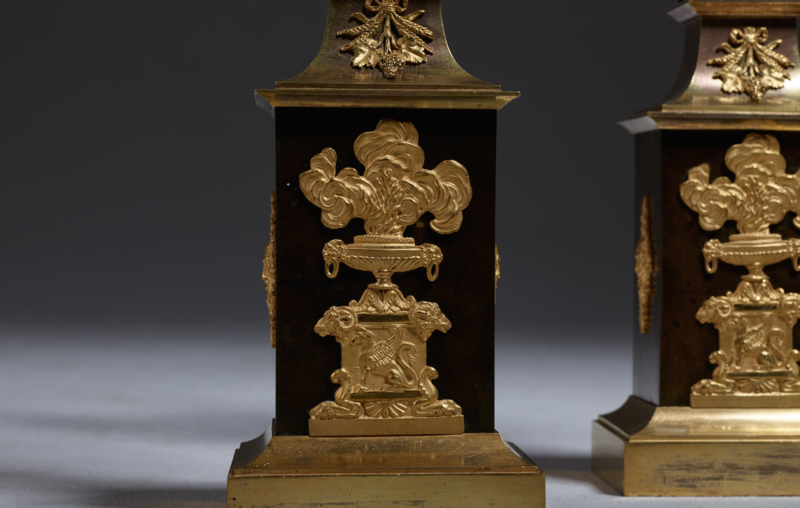 In gilt and patinated bronze for three candles. 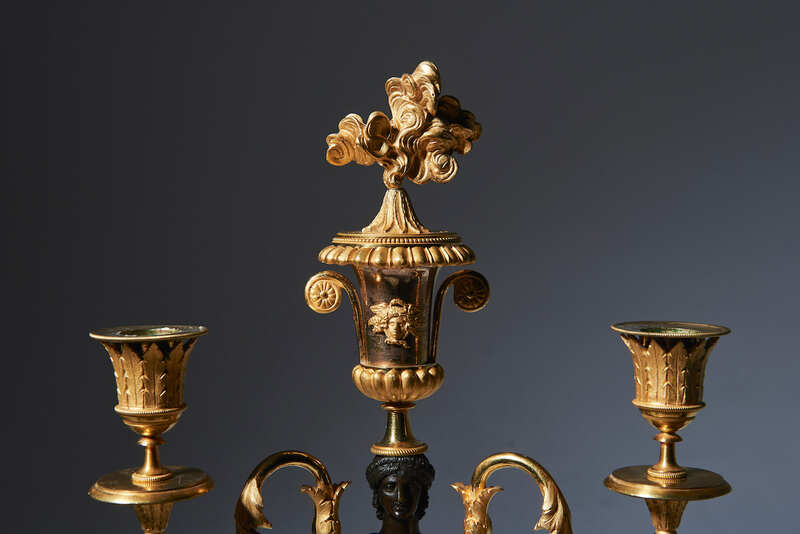 Each candelabra in the form of a standing patinated bronze figure in drapery supporting two amphora shaped vases in each hand issuing two scrolled candlearms. With a campana shaped urn on her head terminating in the shape of flames containing a third candleholder. 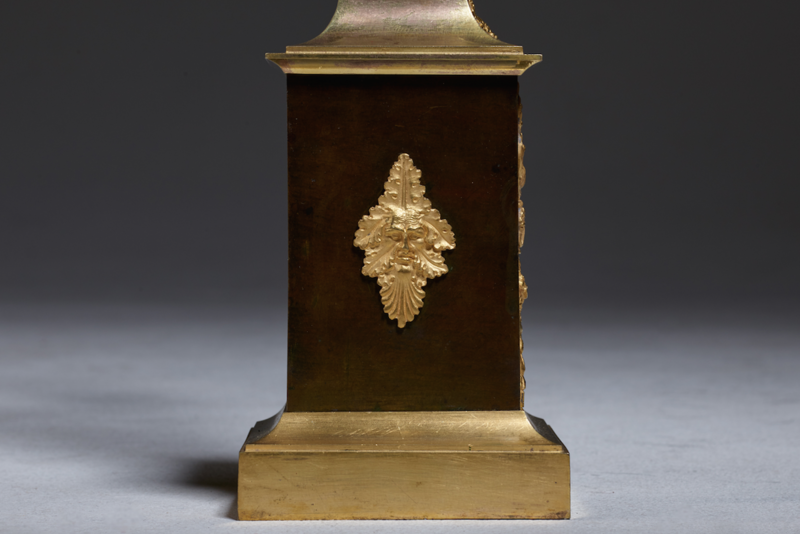 The rectangular patinated base with gilt decoration of a flaming urn.